The game began on a frighteningly cold Friday morning. We initially took the lead with a cracking score from Conor Higgins. It was tough half with the wind against us which left Hartstown and Coláiste Chiaráin neck in neck at the end of the first half. Second half began with Darragh McCarthy running the pitch and scoring an unbelievable point. 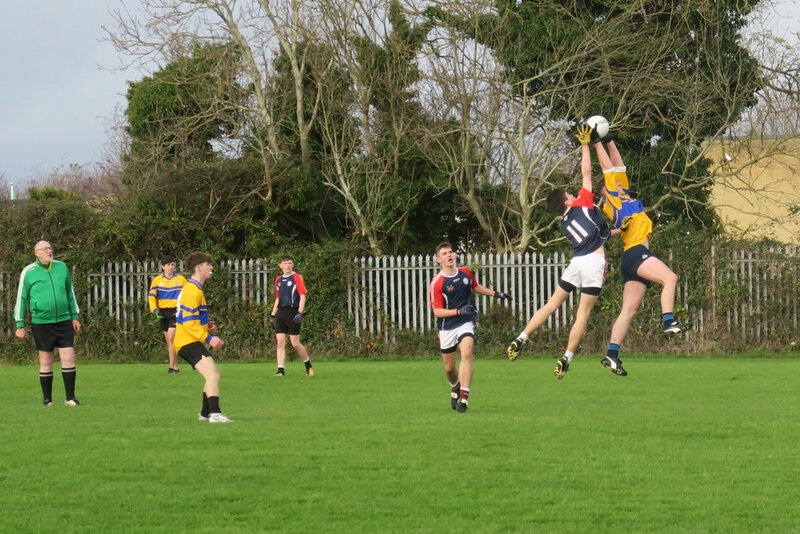 Coláiste Chiaráin took the lead and continued scoring many goals and points from Darren Dara and Ultan. Conor Murnaghan scored two remarkable free kicks. Defense was strong thanks to Rory Noonan, Darragh Keating and Sean Englishby. Mid field was dominated by Oran Tully and Nathan Carney. Match report by Sara Doyle. The Game would not have been to this high standard that it was if not for the exceptional umpiring from Sarah Doyle, Ellen Devine and Kate O Brien.